A man has come forward to allege that he–not Michael Jackson–is the father of Brandon Howard. Singer Augie Johnson says that he is the father of Howard, whose mother is Miki Howard. Speculation was sparked when a company came forward claiming that DNA tests showed Howard is Jackson’s son. But Johnson, 65, told the Daily Mail that he knows that Howard is in fact his son. “I KNOW Brandon’s my son – I was there in the delivery room, I have the pictures of him being born. I got the records, I got everything,” he said, noting that he was in a long-term relationship with Miki. The DNA testing was done by a company that was filming Brandon who also claimed to have obtained a dental impression of Jackson. DNA from both people then matched, they claimed. The dental impression is 30 years old and is one of the aspects of the story that has come under question. Actor Corey Feldman, a friend of Jackson and Howard, was one of the doubters. “I’m being the Devil’s Advocate, people are going to dry and demand for more specific proof of this,” he said. 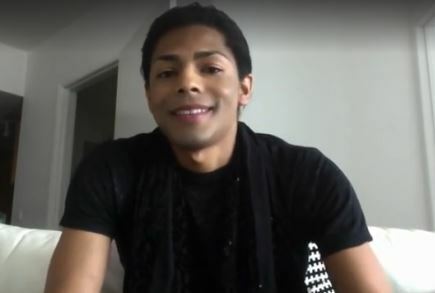 Augie Johnson says that Brandon did meet Jackson when he was a little boy and made frequent trips to Jackson’s Neverland ranch with Miki Howard or Jackson’s brother Jermaine, but says the first time Brandon met the Jacksons was when he was three. “My name is on his birth certificate, when people talk to me, I tell them the truth. I know my son- he’s got a lot of drama going on,” Augie said. “Brandon just happens to be one of those kids – the wannabe Michael kids – his whole life. He loved Michael Jackson so much.